DCU Mercy host a basketball academy for underaged kids. We encourage children to get involved in physical activity through the sport of basketball. Location: Mercy Basketball Club, Coolock. 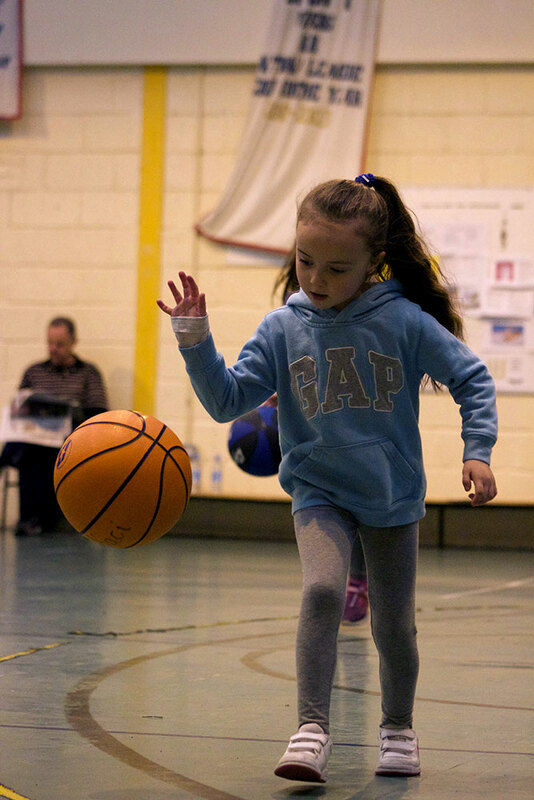 DCU Mercy not only has the concerns of its own players at heart but aims to increase and promote basketball in the local area and to children throughout Dublin. Our program encourages children to get involved in physical activity, through sport. The academy is not there to evaluate the athletes on a win lose basis as society does it is there to develop the athletes physically, socially and psychologically. As we all know physical inactivity is a major problem in our youth not only does it lead to boredom and problems with delinquency it also contributes to many major health problems. Many young people give up on sport or do not get involved as they feel they are not good enough or do not like the competition. It is here that DCU Mercy differ. In 2002 the Academy was set up, the academy runs every Saturday morning and is open to all children. At the academy there is an emphasis on individual mastery, letting each child work to their own ability and set goals for him/herself to improve. Huge emphasis is put on encouraging the child to develop as an individual. — Dr. Catherine Woods, lecturer in sport psychology Dublin City University. Children need sport and physical activity in their lives. By removing the competitive edge from the sport the academy at DCU Mercy allows every child to take part in enjoyable, healthy fun. DCU Mercy has players from a wide variety of background’s, players in teams come from areas such as Darndale, Coolock, Artane, Clontarf, Killester, Foxrock, Portmarnock, Castleknock, Cavan and Meath. The club firmly believes in promoting children from all areas to work together to make a team function. The rivalry between areas of the city or country are well known, but at DCU Mercy our club members learn a lot about working together and team building. The academy is open to all children and promotes the children to become friends rather than enemies. This has proved to be very effective and many friendships have been formed. If you're interested in signing your child up for our kids academy, please don't hesitate to contact us using the form provided. A member of our team will get back to you as soon as possible and be happy to answer any questions or queries you might have.